This third-grade narrative paragraph tells about a fun trip. Let me tell you about my trip to the zoo. I saw big elephants, little monkeys, and tall jirafs. I could smell good things like popcorn and yucky things like manure. Some animals made loud noises like when I heard a lion roar, and it surprized me. There were lots of people at the zoo, too. It was a fun day. I hope I can go again. 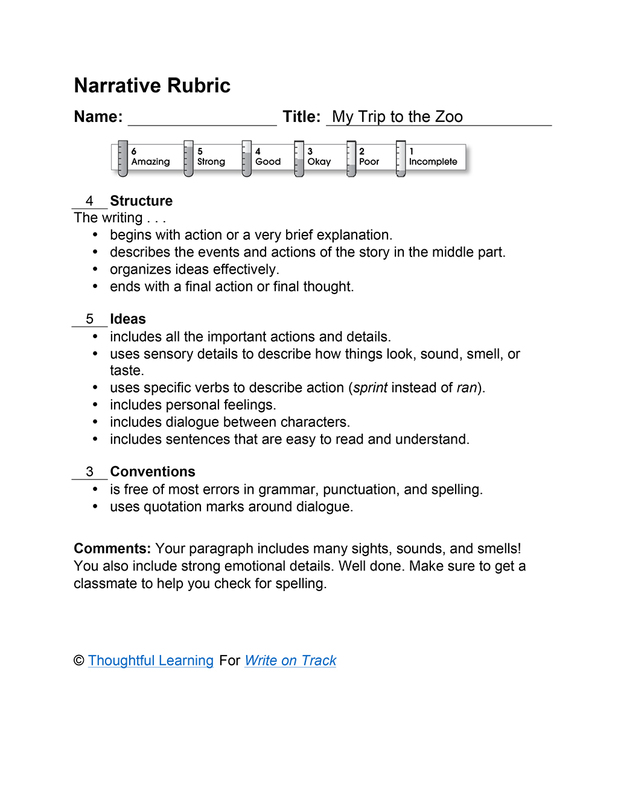 My Trip to the Zoo by Thoughtful Learning is licensed under a Creative Commons Attribution-NonCommercial-ShareAlike 4.0 International License. Based on a work at k12.thoughtfullearning.com/assessmentmodels/my-trip-zoo.